OK, let us start by saying that the ignition system won’t increase the power of your car? But wait, that’s not really correct in a sense. The fact is, if it’s not up to par with your cars needs, then you will have a drop in performance and reliability. Therefore making sure it’s in tip top condition and supplying adequate spark at the right time will give your car a better chance of reaching its full potential. Aftermarket ignition systems can help to increase the voltage for wider gaped plugs. They can also supply multiple sparks for a more efficient combustion, at lower revs. Most modern cars have computer management systems that control the timing of the spark, however many older cars have to have their timing set for this to occur at the right time. Timing is important as in order to ignite the fuel and air sufficiently at peak pressure the spark must occur at the right time. This is normally just after TDC (Top Dead Centre), therefore pushing the piston down at the right time. Of course as the engine speeds up and down the rev range, this will occur at different times. There are other factors that will affect the timing as well, such as air temperature, engine load and throttle position. Advancing the timing can help increase the engine power, but can also cause engine knock (detonation) that can damage your engine. Optimal ignition timing gives a lack of detonation, low exhaust gas temperatures, and maximum torque. 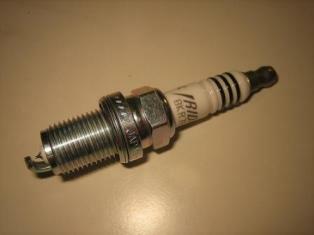 A coil stores and amplifies the voltages to allow for sufficient spark to bridge the gap on a spark plug. Aftermarket coils have the ability to increase this amplification even further and therefore are a match for performance plugs with a larger gap. Most stock ignition systems start to drop voltages at a higher rpm. A distributor has a shaft that is driven by the camshaft or crankshaft. 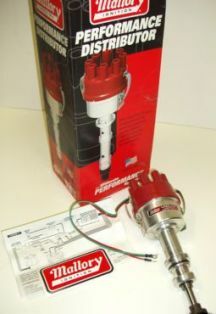 It also consists of a rotor that ‘distributes’ the spark to each spark plug and a distributor cap that connects the distributor to the spark plugs via the HT Leads. 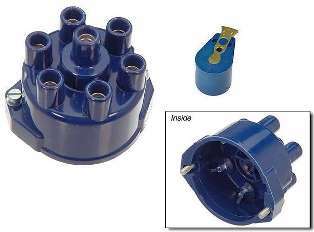 Inductive Storage – Points Type of System – This uses contact breaker points that when open create high voltages that are distributed to the appropriate spark plug through the rotor in the distributor. Generally good for standard cars, but not really able to fully saturate the coil for higher performance engines. Inductive Storage – Electronic System (breakerless) – This uses a pulse generator rotor inside a magnet that creates a current in a pickup coil through to an ignition module. When the current is disrupted in the pickup coil, a high voltage is created. These systems can create more sparks per minute and are good for higher performance engines. This system stores energy in a capacitor and not a coil, although a coil is still used for pulse transfer. A transformer charges the capacitor and the capacitor passes it to the coil before it gets distributed to the spark plugs. Again this creates many more sparks per minute than the inductive storage system. 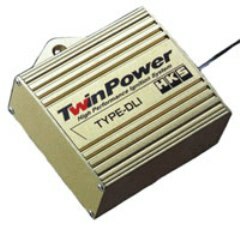 In fact this system can create multiple sparks at lower rpm ranges. Also can be used for higher performance applications. Most modern cars use this now. Has no distributor and therefore has no weights or rotating parts to fail. A signal is taken from either the crankshaft pulley or flywheel to determine ignition timing. Also good for higher performance applications. You cannot increase your cars performance with HT leads. However HT leads that are damaged or not suitable for your cars ignition system (incorrect resistance) will decrease your cars ability to create a decent spark and therefore decrease performance or create a misfire. Performance HT leads generally have a higher heat resistance, which reduce resistance issues. Something we always checked or bought new when getting a car in the old days, not so easy to change now on some modern cars (too much junk in the way or hidden under some large intake etc). However, how can you expect a good combustion without a good spark? Increasing the gap slightly can create a larger spark and therefore reach more of the fuel and air to create a larger bang for a naturally aspirated engine. Turbocharged or Supercharged engines have a higher cylinder pressure and therefore more resistance, which maybe too much to bridge. Make sure you get the right plugs that your car needs and you will also need slightly more voltage for the larger gaps. Just know that there is an optimal spark plug gap and don’t get carried away, as you may affect cold starting abilities. The temperature rating is important to, generally colder plugs are used on high performance engines, but this really depends on your engines setup and modifications. The latest Iridium plugs are reported to be very good. Upgrading your ignition system on a standard car isn’t really necessary. 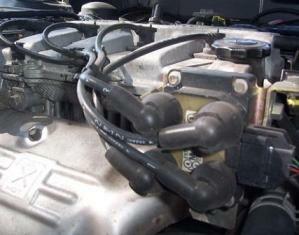 However if you have modified your engine then a good set of plugs and leads aren’t that expensive. Highly modified cars can benefit from other performance ignition system upgrades.